April 2017 - Perry Hood Properties, Inc. When you’re a single person, or married without kids, a good location for a home is all about proximity to the newest restaurants, bars, entertainment options, and nightlife. But that all changes when you start a family. Having kids causes you to change a lot of your priorities, and home location is definitely one of those shifting priorities. School districts suddenly become way more important than being close to the art district. 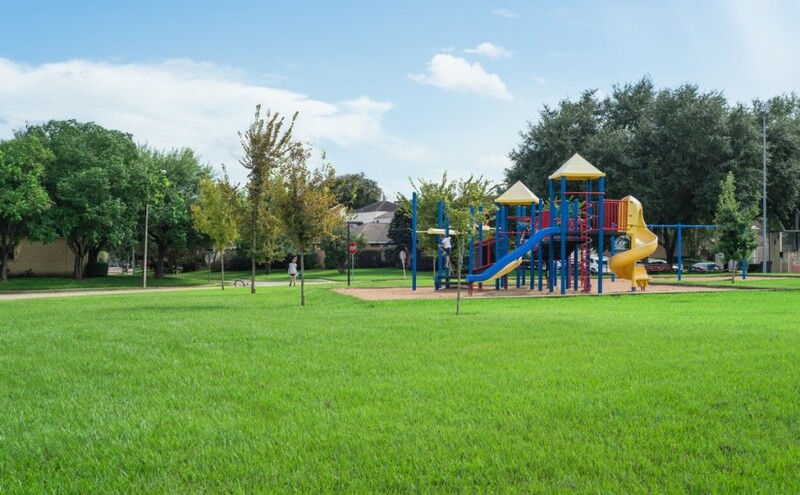 If you’re wanting a more family friendly neighborhood, here are some features to look out for. School Districts– Few things are more important than your kid’s education. Make sure the neighborhood is in a good school district by checking a few easy stats about the schools. You’ll want to know student to teacher ratio, test scores, and graduation rates. It’s also not a bad idea to check for the availability of extracurricular programs like music, art, theater and sports. Sidewalks– One of the most underestimated neighborhood features are sidewalks. These concrete oases are your ticket to safe bike riding lessons, chalk drawing, evening walks pushing a stroller, and plenty of other activity you might take for granted. Shortcut Streets– Before you buy, it’s a good idea to visit the neighborhood during morning and evening rush hour to see if commuters are using the neighborhood streets to dodge rush hour traffic. If you spot cars barreling down the streets, it might spell trouble when kids are playing by the street after school. Parks and Pools– Having a place you can send the kids to burn off some energy is a wonderful thing come summer time when school is out. Neighborhood parks and pools are great for entertaining kids and keeping your sanity. These common areas are also a great way for you to meet and get to know your neighbors. At Perry Hood Properties, we take pride in building top quality homes in top quality neighborhoods. If you’re in need of a new construction home in a family friendly neighborhood, give us a call. We all love the site of a well-manicured lawn and garden, but who really has the time to pull off such a feat? Regardless of time, it’s just hard to know what to plant where and when to plant it. However, gardening and yard work don’t have to be high maintenance chores. 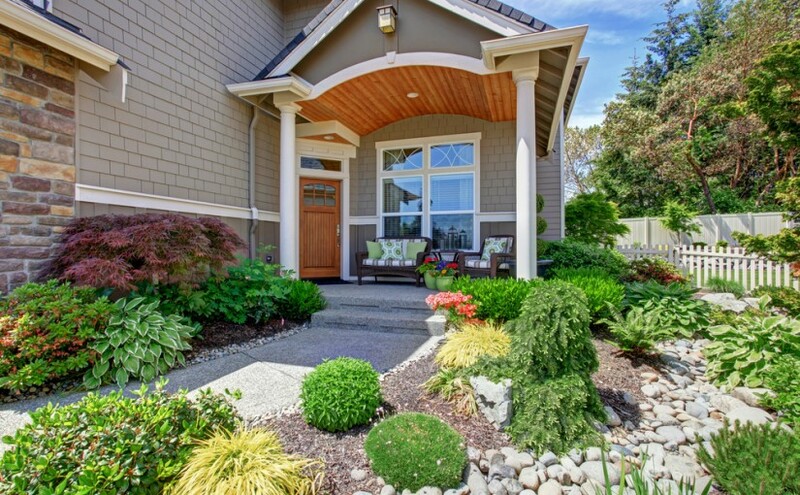 By following a few simple steps, you can have picture perfect landscaping with minimal effort. Don’t Cut the Lawn Too Short– Most people are actually cutting their lawn too short, which invites bugs and weeds to hunker down in your lawn. By leaving your grass a little longer than normal you can protect your lawn by allowing the plant to sustain its rate of photosynthesis and deal with the stress of any droughts. Load Up On Mulch– One of the easiest and most effective ways to improve your landscaping is to spread a nice thick layer of mulch in all your flower beds. Doing this kills weeds, keeps flowers nourished, and will decompose so you don’t have to remove it. At about $3 a bag, mulch is also incredibly affordable. Opt for Perennials- Instead of getting annuals, which only last a year, buy perennials. These flowers will wither away during Winter, but then come back to life every Spring. This means you only have to worry about planting flowers one year. If you’re not sure what qualifies as a perennial, try going to a nursery instead of a home improvement store. Employees at nurseries are generally more knowledgeable and can help point you in the right direction. Xeriscape– This technique takes a little more planning than the others, but when done correctly it makes for the easiest landscaping possible. Xeriscape is a method of landscaping that uses drought-tolerant plants and typically replaces grass with various rocks. This look isn’t for everyone, but you’ll never have to water your lawn again. Install a Sprinkler System– If you’re looking for a set it and forget it way to manage your landscaping, just install an automatic sprinkler system. You can program it to only water certain areas of your lawn on certain days. This means your lawn and flower beds will be well taken care of, and you won’t have to lift a finger. Any move, no matter how far or how big the family, can be stressful. There’s boxes to pack, trucks to rent, and adding kids to the equation can be enough to send you over the edge. Thankfully, there are a few tips and tricks you can use to make moving with kids a little more manageable. Preparation– Sometimes kids don’t fully understand what moving means. Take time to explain they’ll be living in a new house, with new rooms, and new neighbors. If you feel like they’re having trouble grasping the concept, find some age appropriate books that help explain moving. Timing is Everything- Some moves have to happen without any consideration of anyone’s schedule, but, if you can help it, try to plan your move at a calmer time. Think about the kids’ school and activity schedule, and avoid any other big changes like potty-training. Pack Toys Last– Remember the last box in the truck will be the first box out. Leave at least one box of toys to pack last, that way when you arrive the kids will have something to distract them while you’re unpacking. Take Your Time– It seems like moving always takes longer than expected, and with kids this is sure to be true. Don’t give yourself too strict of a deadline to pack and unpack. This will only cause more stress and frustration. Keep Extra Clothes Handy– Just like with the toys, you don’t want to bury all your kid’s clothes too deep in the moving truck. Leave out a change of clothes or two for your kids just in case they get messy and need to change fast. Turn Moving into an Adventure– if the kids are stressed about moving, hype it up and make it a fun adventure. You can go to the new house early, hide a few items, and let the kids have a scavenger hunt. Or you can build a fort with all the boxes and have a campout in the living room. Just find ways to put a positive spin on the move. Whether you’re new to the neighborhood or you just got some new neighbors next door, getting to know new neighbors isn’t as easy as Leave It To Beaver makes it look. Everyone is incredibly busy and it’s hard to get out of your shell to say hello. No matter which side of the fence you’re on, here are some great tips to help you get to know your neighbors. Two of the best ways to get to know people are hot food and cold drinks. 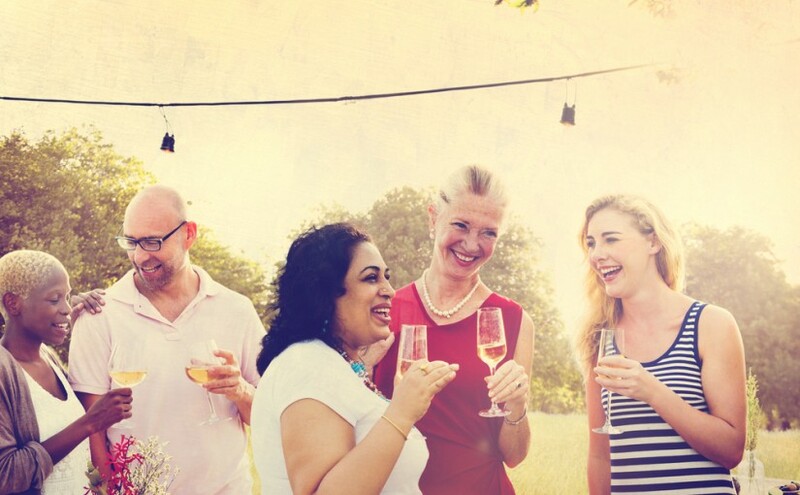 Pick a day with some nice weather and invite your new neighbors over. This is a great non-threatening way to introduce yourself and meet the people next door. Don’t feel obligated to throw some elaborate gala, the conversation is the most important part, not the decorations. If there’s a neighborhood pool or park, these are great places to meet people from all across the neighborhood. Try to spend some time at these places and introduce yourself as you see new people. Home Owners Associations are another great venue for meeting people. Attend a meeting, shake some hands, and see where you can get involved. If you’re looking for an easy icebreaker, bring the kids with you. Let your kids meet the neighborhood kids so they can have play dates and you can meet the other parents. Every parent is always looking for new ways to entertain their kids, so you can bet other neighborhood parents will welcome some new playmates. It might sound simple, but just spending time in the front yard or on the back porch can make a huge difference. Too often we spend our nights and weekends cooped up inside where no one can see us. If you spend a little time enjoying the outdoors, you can naturally meet neighbors as they come and go. Having good neighbors can make all the difference, and getting to know your neighbors is easier than you think. If you’re looking for a new house in a great neighborhood, give Perry Hood Properties a call.